Casual gaming company Kabam has purchased the football field naming rights in California Memorial Stadium in a 15-year deal worth nearly $18 million. Cal Athletics announced yesterday that Kabam, a Bay Area game company whose titles include The Hobbit: Armies of the Third Age, Fast & Furious 6: The Game and Wartune, has acquired the rights to name the football field at California Memorial Stadum for the next 15 years. The deal averages out to $1.2 million per year, and is part of a "diversified funding plan" to cover the annual interest payments of $18.1 million on the $321 million cost to renovate the stadium in 2010. 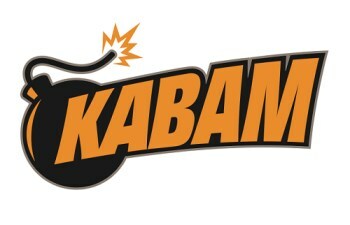 The licensing agreement will see the "Kabam Field" name placed on the 25-yard lines and put a reworked version of the Kabam logo at the 50-yard line above the Cal Athletics team bench. Kabam will also create "internship opportunities" for UC Berkeley students, and provide 500 football game tickets annually to U.S. armed forces veterans and their families. "This agreement is part of a broader approach that athletics remains fiscally responsible," Vice Chancellor for Administration and Finance John Wilton said at a press conference. "We are constantly searching for unique and innovative opportunities to support the student-athletic experience at Berkeley." "We jumped at the opportunity to partner with Cal on naming the field at California Memorial Stadium and creating significant educational and innovation programs that benefit students, veterans and the community at large," added Kabam CEO Kevin Chou. The deal between Cal Athletics and Kabam is the largest "field-naming-rights partnership on an annual-payment basis" in college athletics history. Earlier this year, former UC Berkeley Chancellor Robert Birgeneau warned that state funding levels, which were cut by $900 million between 2008 and 2012, forcing widespread salary reductions and a massive increase in tuitions, were not going to return to previous levels. "The reality is that the current budget is not stable in the long run and so the challenges are not over," he said, adding that tuition levels will unavoidably be forced even higher.